If you believe in science history is about to change forever. For the first time, scientists from many disciplines put the most compelling sasquatch evidence under the microscope and apply forensic science to the on-going mystery. Their conclusions shed new light as to whether we have a living, breathing North American ape living in our forests. Evidence collected by the BFRO, including the Skookum Cast, is featured. 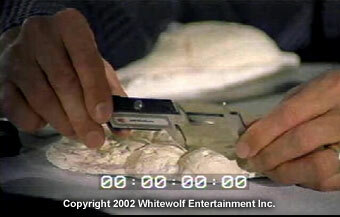 This cutting edge 1-hour 35mm film documentary is a co-production by Doug Hajicek of Whitewolf Entertainment Inc., The Discovery Channel, and Bosch Media. The full-length Patterson, Freeman, and Memorial Day footage in digital format, with unprecendented clarity. 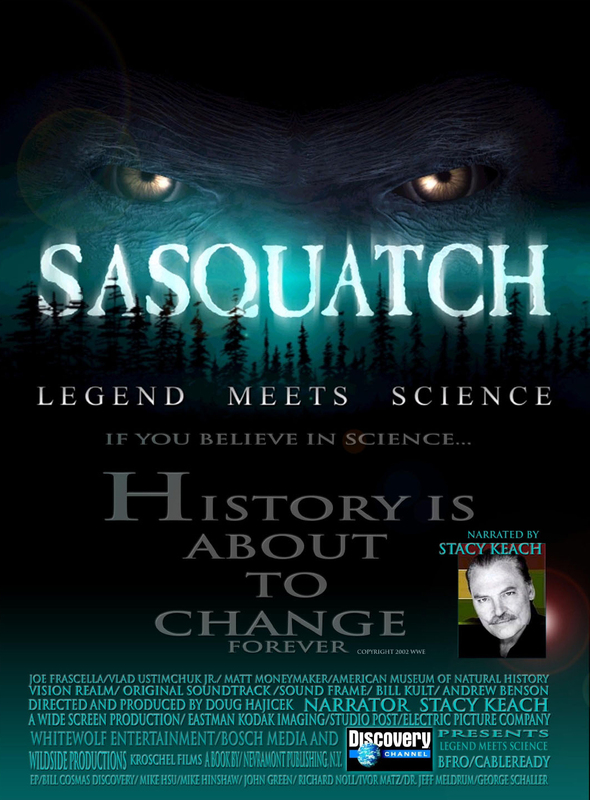 An in depth Q&A on the Sasquatch mystery that is sweeping the nation. A gallery of images related to sasquatch evidence and research. 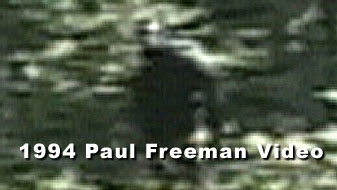 The three best pieces of purported sasquatch footage are analyzed and discussed in the documentary. In addition, the DVD includes an Extras Section with each of the footage clips in never-before-available high quality, direct digital-from-master clarity. For many interested in analyzing these pieces of footage, this is the highlight of the DVD. Each piece of footage is looped, zoomed, and slowed down, allowing the viewer to analyze them closely and even pause and advance the frames manually. 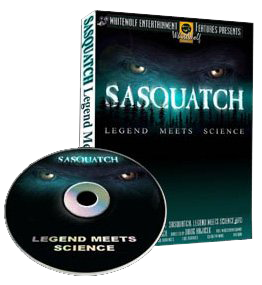 In the documentary, scientists from various disciplines put the most compelling sasquatch evidence to the test. Collectively their conclusions are ground-breaking. There is now scientific proof for the existence of a giant primate species in North America — a species fitting the descriptions of sasquatches. The nation’s top primate anatomist of Washington State Univeristy examines the Skookum Cast, along with prominent primatologist Dr. Esteban Sarmiento of the American Museum of Natural History in New York City, and anthropologist Dr. Jeff Meldrum of Idaho State University, give their conclusions about the Skookum cast, and what it points to. The nation’s top bioacoustics analyst at Texas A&M Corpus Christi, analyzes sound recordings of purported sasquatch vocalizations with an advanced computerized system in his laboratory. He explains his conclusions about the recordings. Primate fingerprint expert discusses the consistent and distinct dermal ridge patterns found in track casts from the northwest and southeastern United States. He states his conclusions about the level of proof provided the dermal ridge casts evidence. 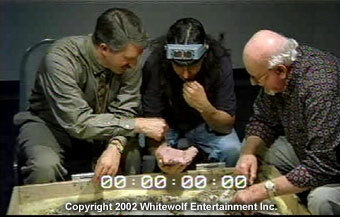 DNA expert from BC Research in Canada attempts to extract DNA from hair samples and saliva taken from the Skookum Cast site. He explains the potential and problems with DNA analysis. Shows life-size models of Gigantopithecus, and describes their interactions with early man. Various other scientists fill in other parts of the puzzle. 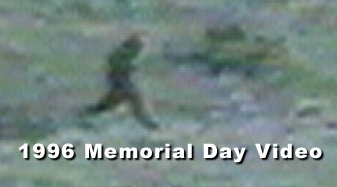 The Patterson footage shows a dark hair covered figure with large muscles quickly walking away from the camera. This incident occured in October of 1967 in a remote, unpopulated mountain valley near the California/Oregon border. After the incident investigators went to the scene and measured the tracks left behind by the figure. The track measurements were later compared to the figure’s feet visible in the footage. This allowed for various other measurements and calculations of body mass and weight of the figure. Those calculations consistently add up to over 1,000 pounds. The figure’s bipedal posture creates doubts for many people, because it makes the figure seem “humanlike”. Any primate adpated to full bipedalism will have a humanlike posture. Human body shape and posture is optimized for efficiency and balance, especially when running at high speeds. Body proportions like those of apes, chimps or other tree climbing primates, are not as energy efficient when walking or running upright. A tall 1000+ pound bipedal primate would have a posture similar to humans, but it would also have different muscle proportions to support its greater weight. Bio mechanics experts say the Patterson figure shows the muscle proportions a large bipedal primate would need, especially if it lived in the sort of rugged terrain where the footage was obtained. People who don’t pay close attention to the subtleties of the figure and its movement may quickly conclude that it’s a man in a costume. Others see just the opposite. They are familiar enough with the way humans move to see the difference in this figure right away. 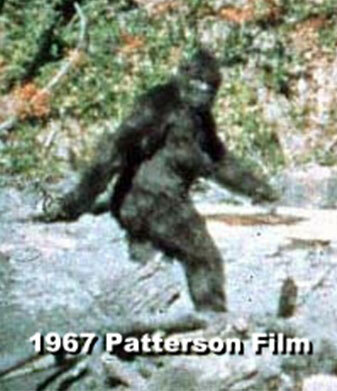 Earlier versions of the Patterson footage were murky compared to this digital-from-master. They were always 3-4 analog generations removed from the original. Being closer to the original footage makes a significant difference in the level of detail visible. The Paul Freeman footage and Memorial Day footage are the only versions ever released, both digital-from-master dubs.